It’s the last day to #VoteRedSox, so here’s who I’d have playing for the AL in this year’s ASG. Let me know if you have any thoughts. NL Roster should be coming tomorrow. Author Brendan CampbellPosted on June 29, 2017 Categories Baseball, Sports, UncategorizedTags 2017, all star game, Baseball, boston, miami, mlb, red soxLeave a comment on It’s the last day to #VoteRedSox, so here’s who I’d have playing for the AL in this year’s ASG. RECAP: #RedSox can only muster one run against Twins in frustrating 4-1 loss. After winning two consecutive games for the first time in about two weeks, the Red Sox failed to get to three straight wins on Wednesday night. Rick Porcello was outpitched by 24 year-old Adalberto Mejia, a rookie pitcher for the Twins who was only making the eleventh start of his career. Porcello did not have himself an awful night, it wasn’t as good as his last start, but he wasn’t getting hit around or anything like that. He went six innings, allowed six hits and four earned while walking two and K’ing six. The first inning was rough, the Twins scored half of their runs on consecutive RBI hits, and that was it until the sixth. Porcello got into a nice rhythm, limiting the Twins to two hits over the next four innings he pitched. Similar to the first, the sixth inning was rough for Porcello, as a lead-off walk resulted in a two-run blast off the bat of Max Kepler, which doubled the deficit to four runs. Porcello’s day would end after he escaped the sixth without giving up anything else. Despite all the struggles he has gone through in 2017, I will give Porcello these two things;First, the run support he got last year was outstanding, and it simply has not been there for him this season, which I’m sure has some psychological effect on him while he’s on the mound. Secondly, he has consistently gone moderately deep into his starts, as in only one of his seventeen starts has Porcello failed to at least pitch six full innings. So, at the very least, he is limiting some of the workload for the bullpen in his starts. Speaking of the bullpen, the group of guys who got the call tonight kept the Red Sox in the game over the last three innings. Heath Hembree, Robby Scott, and Matt Barnes combined to only allow the Twins to reach base three times total from the seventh to the ninth. Like I said in the first few sentences, Twins starter Adalberto Mejia was great in the 5.2 innings he pitched. He didn’t allow a run, and the only run the Red Sox scored came off Tyler Duffey in the seventh. They had plenty of opportunities, leaving a total of eleven runners on base Wednesday night. In the one inning they scored a run they had the bases loaded with only one out, but could only score once on a Xander Bogaerts RBI ground out. It even looked like they could have done something in the ninth, but left the tying run on deck when Bogaerts struck out to end the game. With David Price starting to come into his own and pitching tomorrow, the Red Sox have a legitimate chance to win their first series since two Sundays ago in Houston. 43 down, ? to go. Author Brendan CampbellPosted on June 28, 2017 Categories Baseball, Sports, UncategorizedTags Baseball, boston, minnesota, mlb, red sox, twins, wednesdayLeave a comment on RECAP: #RedSox can only muster one run against Twins in frustrating 4-1 loss. RECAP: Drew Pomeranz and Christian Vazquez lead the way for #RedSox in long 9-2 win. I live about 20 miles away from Fenway Park, so when I turned on my television around 7, I was surprised to see the game was delayed. That first system that rolled through didn’t really affect me, but it affected Boston, as the game did not start until 8 PM. Drew Pomeranz made the start for the Red Sox, and under unusual circumstances, he had a solid night. The southpaw rolled through the first two innings, retiring all six Twins he faced. After another delay that lasted more than an hour, it was surprising to see him come back out for the third. Although not as sharp as before the delay, Pomeranz got the job done, escaping a few jams along the way to his seventh victory of 2017. The only run he gave up came in the fifth, but great defense from Christian Vazquez limited the damage. This is the third outing in a row where Pomeranz has gone more than five innings while allowing two or fewer earned runs. If he keeps this up, the boost he gives this rotation is huge. The Red Sox bullpen didn’t have to do much to keep the Twins out of the game. By the time Blaine Boyer took the mound in the sixth, the Red Sox had already built a 6-1 lead. Boyer got hit, but he escaped his two innings of work without giving up a run. Fernando Abad was responsible for the eighth and ninth, and he ended the game while giving up the second run of the game for the Twins. Offensively, the only starter who didn’t get a hit was Andrew Benintendi, but he still reached base with an intentional walk in the fifth. The big stars of the night, in my opinion, were Christian Vazquez and Chris Young, who accounted for five of the seven runs driven in by Red Sox hitters. Vazquez hit his first home run of the season in the second, a two-run shot that gave them the lead. Chris Young also went deep, blasting his fourth home run of the season in the sixth, a three-run shot that secured this win. Dustin Pedroia also had a noteworthy performance at the plate, recording three hits and reaching base in all four of his at-bats. The Twins bullpen is one of the worst in baseball, and the Red Sox took full advantage of that, scoring seven times in the six innings a Twins reliever was on the mound. This is the first time in nearly two weeks where the Red Sox have won consecutive games. With two more against the Twins, they can complete their first sweep since they swept the Rangers on May 25th. Also, the Yankees blew a 3-1 lead they had entering the bottom of the eighth against the White Sox, so the Red Sox now have sole possession of first place. 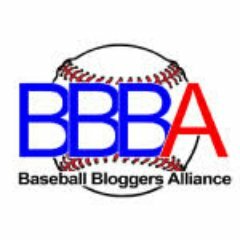 Author Brendan CampbellPosted on June 28, 2017 Categories Baseball, Sports, UncategorizedTags Baseball, boston, minnesota, mlb, red sox, tuesday, twinsLeave a comment on RECAP: Drew Pomeranz and Christian Vazquez lead the way for #RedSox in long 9-2 win. RECAP: Chris Sale strikes out nine and Mitch Moreland goes yard again as #RedSox defeat Twins 4-1. Not gonna lie, this team has kinda just been okay over the past week. A nice weekend in Houston resulted in two straight series losses to inferior teams. Now, the first place Twins come to town looking to separate themselves from the AL Central. They didn’t get a good start to the series though, as Chris Sale made his sixteenth start of the season, and he looked really good. The American League strike out leader pitched into the seventh inning, only allowing four hits and one run while striking out nine on his way to his tenth victory of 2017. The only real mistake Sale made was a solo home run in the third off the bat of Chris Gimenez, which cut the Red Sox lead in half at the time. Other than that though, nothing to complain about from the ace. It looks like Sale will be making his next start on Saturday in Toronto, where he has already thrown eight shutout innings earlier in April. Stop me if you have heard this before, but the Red Sox bullpen was great once again last night. Heath Hembree got out of a two on, one out jam in the seventh, Matt Barnes struck out the side in the eighth, and Craig Kimbrel notched his twenty-first save of the season. With that save, Kimbrel has now recorded at least one save against all 30 teams in his excellent career. The bats got things started quickly on Monday, scoring half their runs in the first. Mookie Betts scored on a Xander Bogaerts double play, and for the third straight game, Mitch Moreland hit a home run in his first plate appearance. Those would be the only Red Sox runs until the seventh. The starter for the Twins, Jose Berrios, got off to a rough start, but calmed down after the first and pitched into the seventh. That kid is going to be a stud, by the way. Has to be the best pitcher to start his Major League career with that organization since Johan Santana. He reminds me a lot of the late, great Jose Fernandez as well. Anyway, Berrios allowed two of the first three batters to reach in th seventh, and he was relieved for Matt Belisle. The first batter he faced, Dustin Pedroia, drove in Sandy Leon on an RBI single. Xander Bogaerts was intentionally walked, and Buddy Boshers came in for Belisle. The first batter he faced, Mitch Moreland, capped off his night by driving in the last run of the game on a sac fly to center. Pretty solid night on both sides to at least keep that share of first with the Yankees, who are going to beat the White Sox. Also, shout out to Tzu-Wei Lin for recording his first career Major League hit on a bloop single in his first career at-bat. 42 down, ? to go. Author Brendan CampbellPosted on June 27, 2017 June 27, 2017 Categories Baseball, Sports, UncategorizedTags Baseball, boston, minnesota, mlb, red sox, twinsLeave a comment on RECAP: Chris Sale strikes out nine and Mitch Moreland goes yard again as #RedSox defeat Twins 4-1. RECAP: Doug Fister makes impressive debut; #RedSox drop series to Angels in 4-2 loss. On Wednesday, Doug Fister opted out of his contract with the Angels. On Sunday, he was starting against them while also making his Red Sox debut. The journeyman starter had a solid start, as the Angels only scored in one of the six plus innings he pitched. The first was good, but the second was the complete opposite. The Angels got half of their hits in that inning, scoring three times off of Fister. Other than that though, not too bad for a debut with a new team. I wouldn’t have brought him back out for the seventh, but Robby Scott and Heath Hembree was able to get out of that jam. Joe Kelly pitched a scoreless eighth inning, and Craig Kimbrel, who hadn’t pitched since last Sunday, allowed one run while pitching the ninth. With Fister pretty much solidifying a spot in the back-end of the rotation, hopefully he can hold things down until Eduardo Rodriguez returns. Offensively, not much to report on. The only two runs came on solo home runs from Mitch Moreland, his eleventh, and Jackie Bradley Jr, his tenth. Parker Bridwell, the Halos starter, had one of the more efficient starts I have seen. I believe he only had 72 pitches when he got taken out with two outs in the seventh. I was surprised Mike Scioscia made that move, but it worked since the Red Sox could not score on either Angels reliever. The Yankees lost again, which does help, but I can’t help but feel like this team is under achieving. At seven games over .500, the 2017 Red Sox have left much to be desired. It’s funny how the Red Sox, Cubs, and Indians, three World Series favorites, haven’t really taken off in the standings yet. This Red Sox team is definitely capable of going on some great run this summer, but until that happens, it will be hard not to get frustrated. 41 down, ? to go. 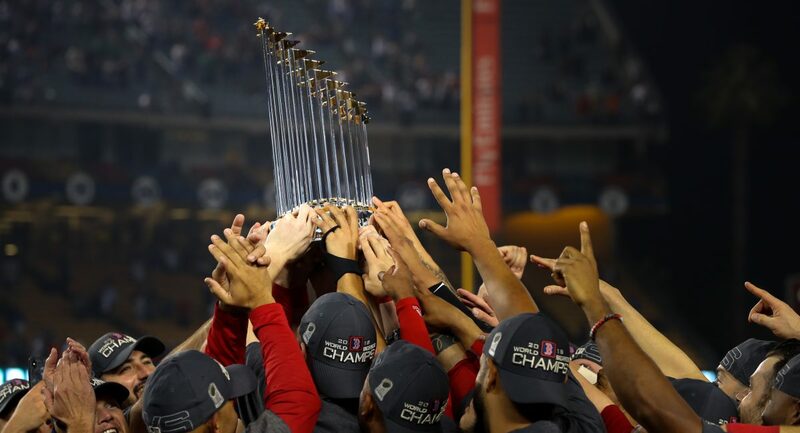 Author Brendan CampbellPosted on June 25, 2017 Categories Baseball, Sports, UncategorizedTags anaheim, angels, Baseball, boston, mlb, red sox1 Comment on RECAP: Doug Fister makes impressive debut; #RedSox drop series to Angels in 4-2 loss. RECAP: #RedSox nearly pull off ninth inning miracle in 6-3 loss. It was a lovely night at Fenway on Saturday night. The new 34 plaque looks great, and I was hoping the Red Sox were going to look great as well. David Price was on the mound for the Red Sox, making his sixth start of the 2017 season. The 31-year-old had himself another solid outing, scattering six hits and three earned runs over six quality innings while only walking one and striking out five. The only problem I had with this start was the fact that there were baserunners in all but two of the six innings pitched by Price. The Angels spread out their runs, but Price really wasn’t hit too hard. Despite picking up his second loss, I think more blame deserves to be put on the bullpen for this one. Fernando Abad came in the seventh and made a mess, allowing two runs while failing to get out of the inning. Shout out to Blaine Boyer for getting out of the seventh and being the only reliever to toss a clean inning. Lastly, Matt Barnes put the Red Sox offense in a 5 run hole, meaning it would take more than a grand slam just to tie it. The bats couldn’t do much damage off of Angels hurler JC Ramirez. The only run he surrendered came on Mitch Moreland’s tenth home run of the season in the second. The Halos bullpen was looking pretty good until Cam Bedrosian came in for the ninth. He got the first two outs, but gave up a run and loaded the bases while doing so. A wild pitch on a Christian Vazquez strike out allowed another run to score, but that’s all the Red Sox would get as Chris Young struck out to end the game. Rubber match today, headlined by Doug Fister’s first start in a Red Sox uniform. Oh yeah, how about Manager John getting tossed in the seventh? Gotta love it. Author Brendan CampbellPosted on June 25, 2017 June 25, 2017 Categories Baseball, Sports, UncategorizedTags anaheim, angels, Baseball, boston, mlb, red sox, saturdayLeave a comment on RECAP: #RedSox nearly pull off ninth inning miracle in 6-3 loss. RECAP: Hanley Ramirez and Sandy Leon both go deep as #RedSox pick up 9-4 victory over the Angels. Note: Prior to last night’s game, the Red Sox made some roster moves, adding a few players Dave Dombrowski is familiar with. First, Doug Fister was claimed off of waivers from the Angels. The 33-year-old RHP is on the back-end of his career, but he still has the opportunity to contribute to a team that is in need of a consistent option out of the back half of the rotation. He’ll start on Sunday against his former team. The second move was signing former Cardinals infielder Jhonny Peralta to a minor league deal. Peralta, 35, is also on the back-end of his career, but he too can provide depth at a position that has been a weakness for this team. On to the game: Friday night was all about David Ortiz. The former Red Sox slugger has had himself quite a weekend, getting a street named after him and taking part in a roast and all. The ceremony before the game was great. Tim Wakefield, Jason Varitek, Jim Rice, Wade Boggs, and Pedro Martinez were on all hand to see Ortiz’s number enshrined forever. The reaction out of Ortiz shows how close these guys were during their time as teammates. Like I said, they really have seem it all, from World Series titles to late season collapses all the way down to consecutive last place finishes. Although his style is completely different than that of Ortiz, Pedroia is that dude. I should probably get on to the game now… Rick Porcello has been pretty awful this season, that’s what most Red Sox fans would tell you. Well, on Friday night, he made the first strides to get back to that 2016 form. Prior to the seventh, Porcello scattered six hits and gave up one run while walking one and whiffing eight. The seventh was a different story, but I’m not going to pay much attention to it because he could have been taken out sooner. The bullpen was responsible for eight outs, and they got all of them without allowing a run. Heath Hembree, new set-up man Joe Kelly, and Blaine Boyer combined to give up only two hits to the Angels, so that’s quality stuff. The offense scored early and later too. Three runs crossed the plate and the Red Sox only needed one hit, a Xander Bogaerts RBI double, to score those runs. The other two came on wild pitches. In the fourth, Hanley Ramirez hit the 250th home run of the career, a 2-run shot that barely landed over the right field wall. That home run will definitely hold a special place in Ramirez’s heart. A milestone number on the same night his favorite player’s number is retired. Hanley wouldn’t be the only one to go deep though, as a suddenly hot Sandy Leon launched his fifth home run of the year to the bleachers, another 2-run shot that made it a 7-1 game. The Angels scored three in their half of the seventh, so the two runs the Red Sox scored in their half of the eighth were definitely helpful. Those runs came off the bat of Sandy Leon again, a 2 RBI double that scored Mitch Moreland and Jackie Bradley. Also, how about JBJ? Another multi-hit game has his BA at .272 right now. At the beginning of the month, it sat at .226, so in the month of June, he is hitting an impressive .350. David Price is on the mound later tonight, I’ll be at the game, so I’m looking forward to seeing Papi’s number in person. Author Brendan CampbellPosted on June 24, 2017 June 24, 2017 Categories Baseball, Sports, UncategorizedTags anaheim, angels, Baseball, boston, david ortiz, friday, mlb, red soxLeave a comment on RECAP: Hanley Ramirez and Sandy Leon both go deep as #RedSox pick up 9-4 victory over the Angels.